Parkinsonism and dementia can co-occur in patients without Parkinson’s disease, and most of patients with neurodegenerative parkinsonism develop significant cognitive impairment. 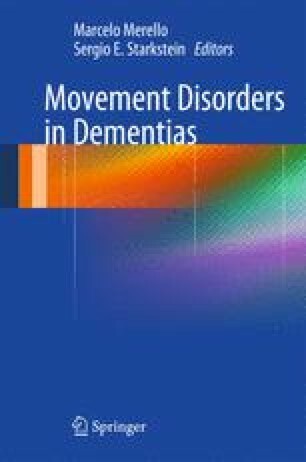 Parkinsonism–dementia syndromes notably include dementia with Lewy bodies, progressive supranuclear palsy, corticobasal syndrome, normal-pressure hydrocephalus, vascular parkinsonism and dementia, drug-induced parkinsonism and dementia, frontotemporal lobe dementia, and Alzheimer’s disease. Therapeutic options for parkinsonism in these patients are limited, and data are scarce. In this chapter, we summarize the available information on this topic. Zupancic M, Mahajan A, Handa K. Dementia with Lewy bodies: diagnosis and management for primary care providers. Prim Care Companion CNS Disord. 2011;13(5). pii: PCC.11r01190. doi: 10.4088/PCC.11r01190. PMID:22295275.